Gamers are seen at the Critical Hit Arcade in Alamo. Before there was Critical Hit Arcade, there was Critical Hit Gaming. The arcade first existed as an organization that conducted tournaments by visiting venues for special events. It was indeed a hit and it soon gained a following, which prompted the owner, David Arjona, to set up a location in McAllen. For its new, larger location in Alamo, the arcade is hosted a two-day grand opening celebration earlier this month, where visitors can square off in tournaments and enjoy live music. Alamo was chosen because it serves as a central area for many of the gamers Critical Hit has amassed. Gamers can walk or bike to the destination from their homes. Arjona hopes that following the opening, the arcade will attract “afterschool kids that want something to do,” as well as serious gamers. Their existing venue and converted warehouse acts as a sort of gym, which is exactly the business model Arjona is going for. Gamers can enjoy the arcade machines, console and PC gaming for $5 a day, or a $25 monthly pass. The arcade features “real deal” arcade machines from the 1990s, modern consoles and what Arjona described as the “crown jewel,” a Dance Revolution Machine. Sonic Boom, a progressive thrash metal video game and television tribute band from McAllen will be headlining. All performers for the event are local and are “in tune with the scene,” according to Arjona. Kaboom Comics is a sponsor for the event. 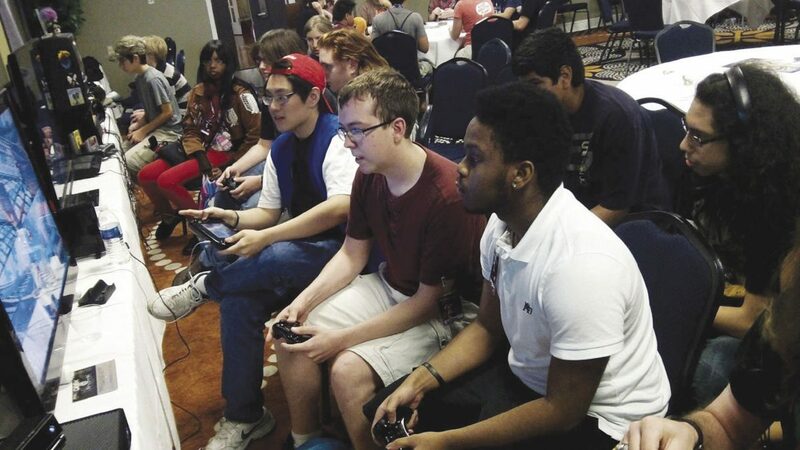 Gamers from San Antonio and Corpus Christi are came down to participate in the tournaments, and Arjona expects upward of 60 people to attend. Entry tickets are $5 for a single day, and $8 for a two-day pass. Anyone who dresses in cosplay will get to participate for free — an initiative by Arjona to show appreciation for the convention roots of Critical Hits Gaming. The kickoff begins at 5 p.m. Friday. A full schedule of the tournaments can be found on the arcade’s Facebook page.